Today I took several trades but there was one that I really like. I saw this setup on H1 Eur/Usd (Euro Dollar). It appeared that there was no trend on the higher time frame. The daily is retracing , basically taking a breather from a month of downfall while the H1 is going up and down. So that in mind I took this trade with a Set Target at 1.26000. 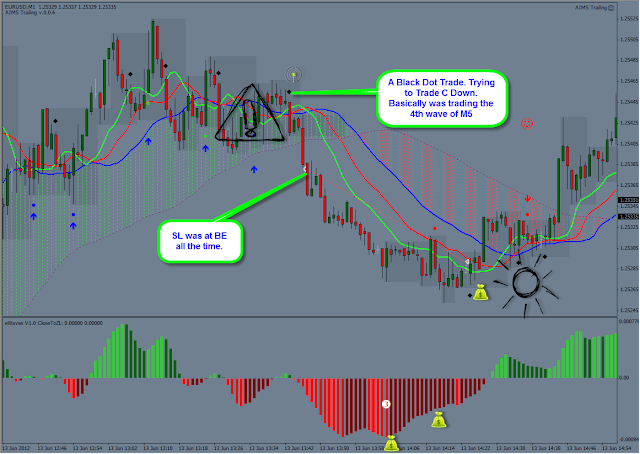 When I took the trade I looked at the AIMS Levels to the left and thought it might try touching them. So I was convinced there were 100 pips move available for the day. 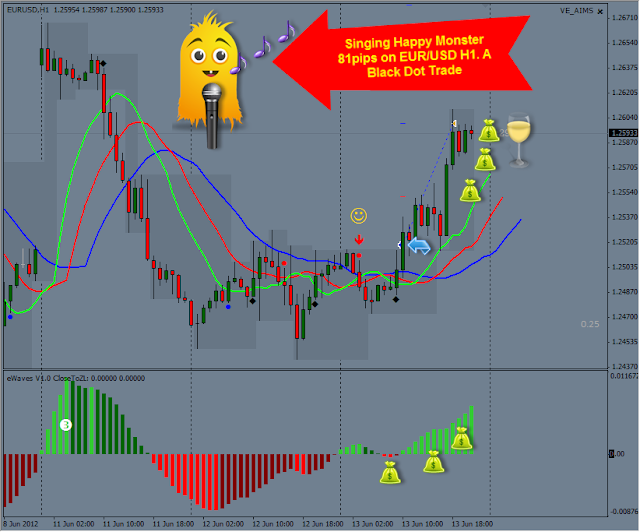 During this time while H1 was printing red and green candles M1 was also busy going long and some shorts. Here is a short trade what we Call the Black Dot Trade on EUR/USD M1. Also a 1:1 or 1% account growth trade.